This guide will walk you through the quest to get the Duskshadow Armor in Celtic Heroes. 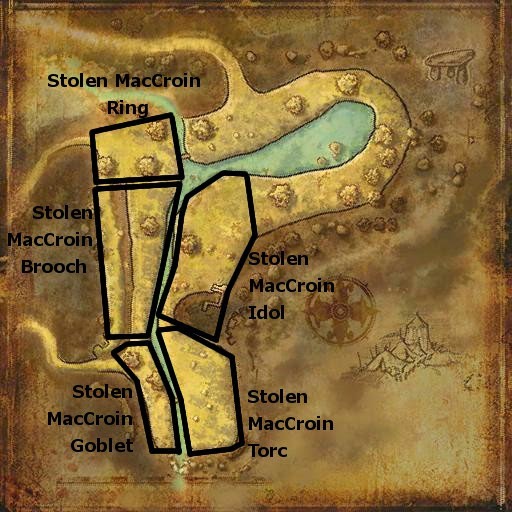 The quest begins at level 30 in the MacCroin Camp in Shalemont. This quest will gain you the Duskshadow armor set, and is given by Conall MacCroin in the MacCroin Camp in Shalemont, starting at level 30. Greetings, Highlander. While our soldiers are fighting bravely, the common folk of Clan MacCroin have also suffered - our homes have been pillaged and our belongings stolen by the Connacht. I seek a noble Warrior to raise morale and give hope back to my people, and I can offer some valuable armor as a reward.